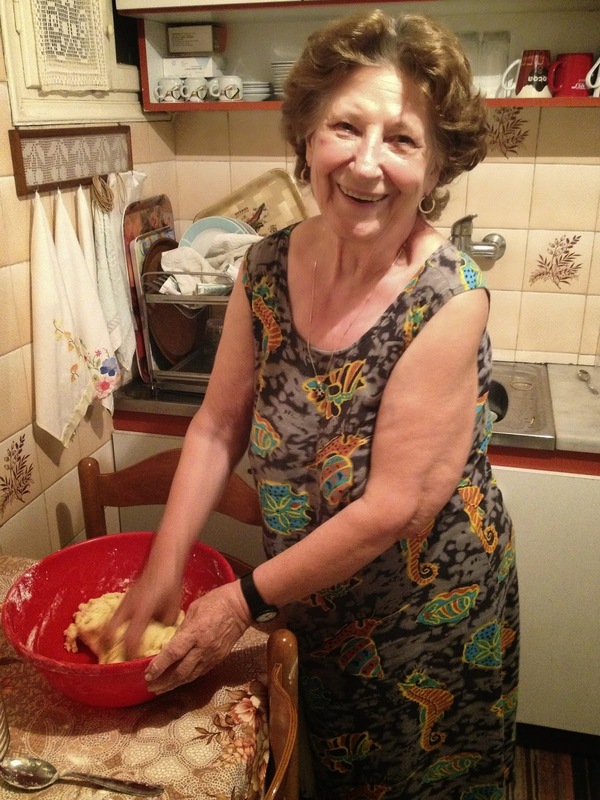 As some of you know I am starting a little project on my blog…Interviewing mums, grandmas, grandpas, friends and asking them to pass on recipes from their hometowns in the motherland…I'll call it Greek Mama Project! However I will start from the motherland. While I was in Greece last year and hanging out at my Aunty Eleni’s house I decided to raid her handwritten recipe book. Luckily for my trustworthy iphone it only took me about 10 minutes to record these gems. My Thia Eleni, as always in true Greek fashion, upon my arrival and after all the hugs and kisses are out of the way will go straight to the freezer and offer me a slice of “chocolate salami”. 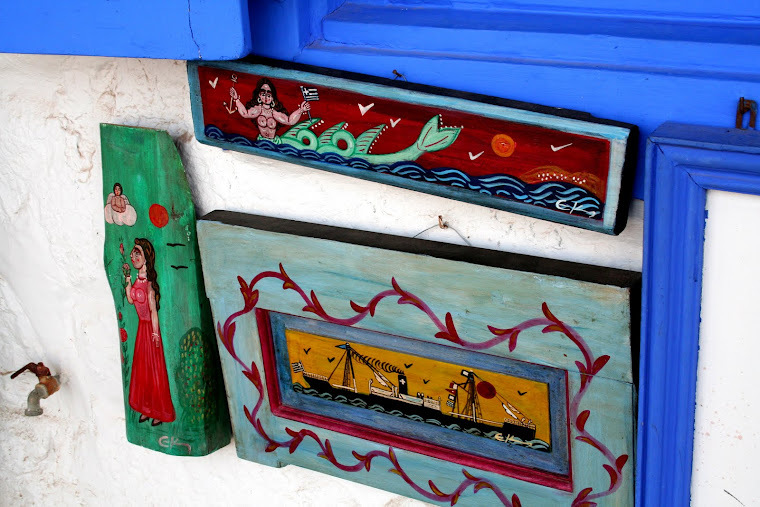 Or also known as “kormo” or “mosaico”. It is a roulade of chocolate, coconut, crushed up biscuits, walnuts and a bit of alcohol. It is kept in the freezer ready for the next visitor. I don’t have a sweet tooth but I will never say no to a slice of this. However I digress, as this is not the recipe I will be sharing with you today. I’ll be making that soon. Today I will share another recipe she whips up at a moments notice. Tiropitakia kourou. 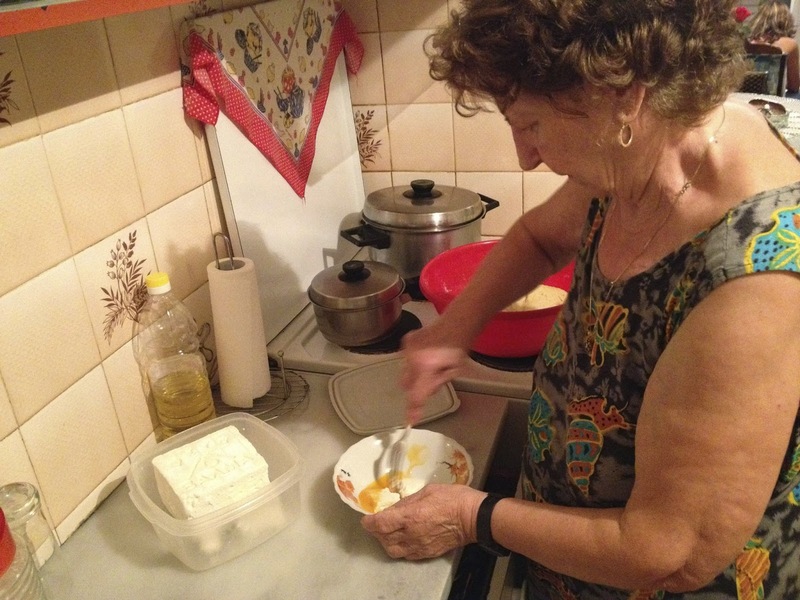 Kourou is a type of shortcrust pastry traditionally using yoghurt, loads of oil and flour. The recipe I copied from her book uses milk. 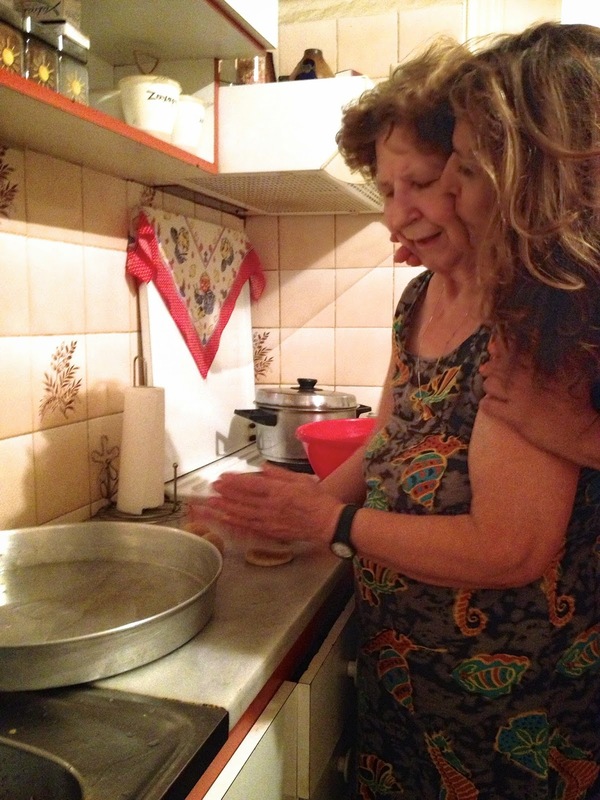 My gorgeous cousin Matoula giving her mum a helping hand. flour – about 500g (my instructions where “oso alevri sikosi”) translation as much flour as the liquid takes – well maybe not exact translation but that’s what it means. So start of slowly with the flour, as it may not need all of the flour. 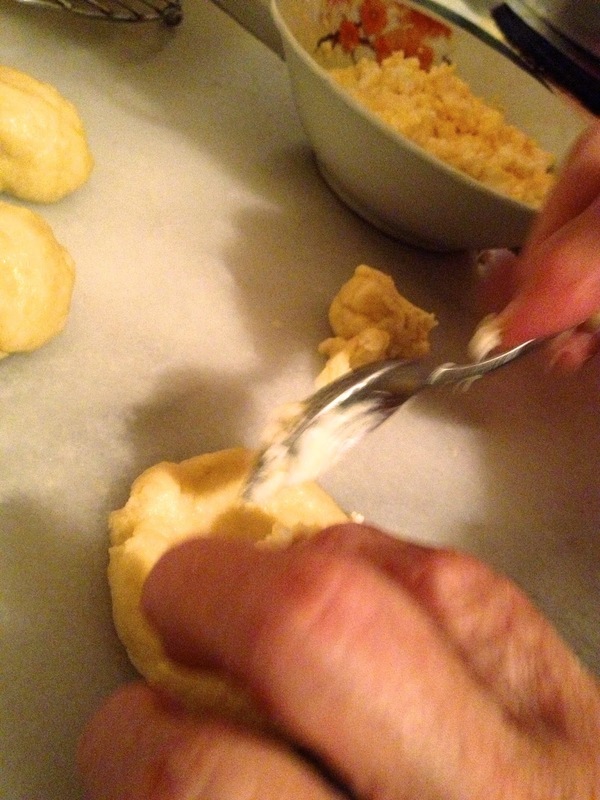 The dough should be very soft and bouncy to the touch. 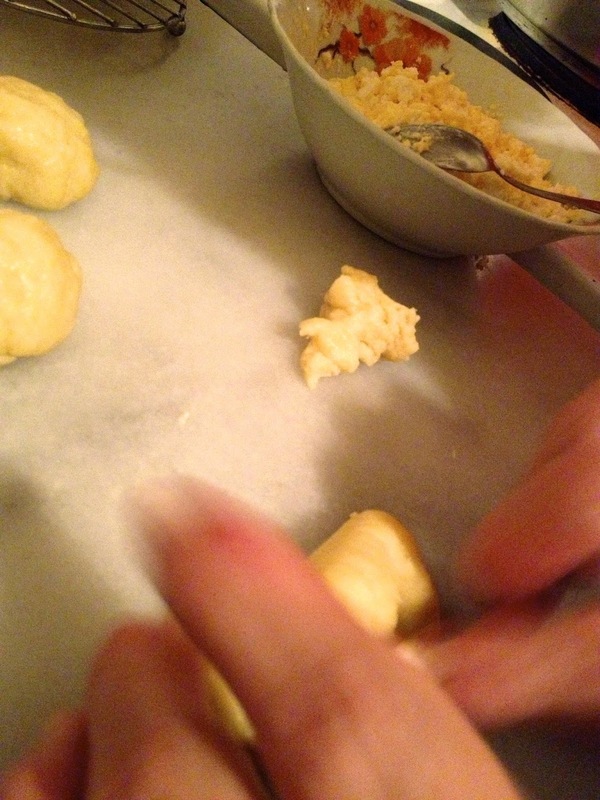 Make dough by mixing the liquid ingredients together and slowly adding the flour until you form a soft and bouncy dough. 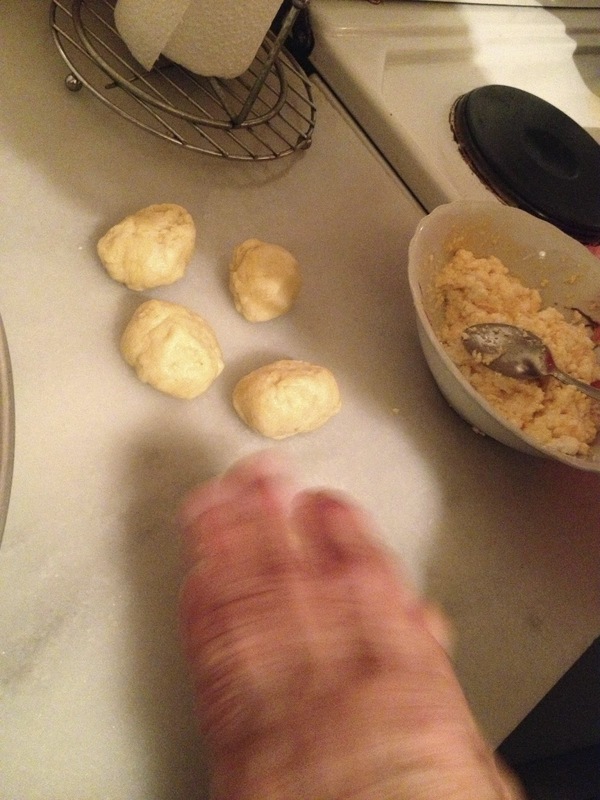 Roll the dough in small balls about the size of a golf ball, flatten out into a disc and add a teaspoon of the mixture. 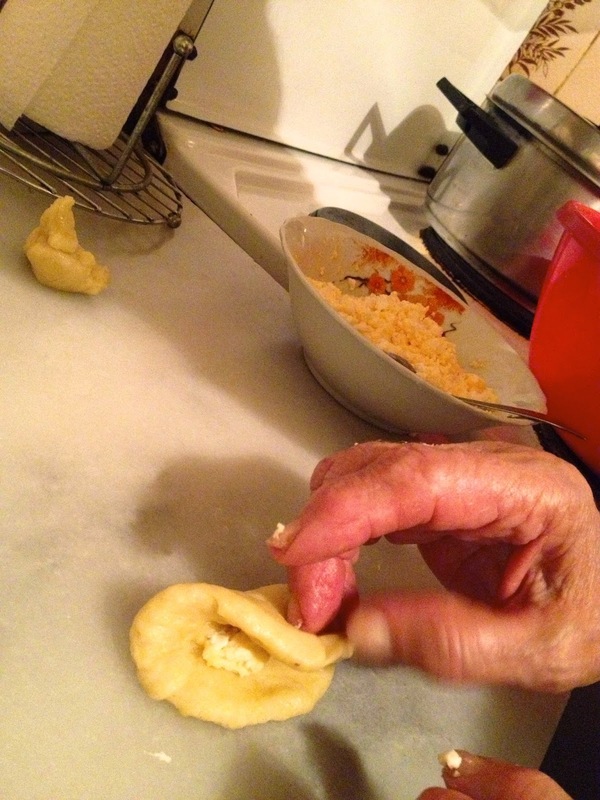 Fold over and crimp the edges with a fork. Place on a greased baking tray and baste with some beaten egg. Don’t place too closely together as they will expand and rise slightly. Bake in a moderate to hot oven 180 for about 30 minutes or until golden. Leave to cool and enjoy. Great for kids lunch boxes! !